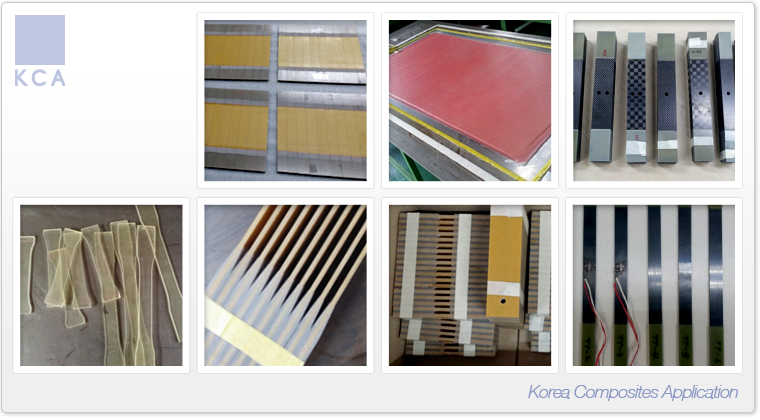 Equipped with fine specimen manufacturing process for specifications(ASTM, ISO, KS)which professionality required, we are providing the specimen of composite materials for certification process to Korean air, Korea Aerospace Research Institute, Agency for Defense Development, Korean fiber etc. As the specimen of composite materials is to measure physical properties to predict safety, durability of product, it required very complicated manufacturing process. Especially for composite material with direction nature, its physical properties changed sharply according to the direction of fiber, it is very important to get the test value according to exact sample. All the specimen should be manufactured as per regulated manufacturing process. The precision of specimen is the important factor to determine the test result. Because the test result as the main factor of design can determine the confidence level of the final product. Many companies are producing specimen for testing autonomously, there are not so many companies which can make specimen as per regulated manufacturing standard. To possess the manufacturing/processing device complying with international specifications, our company has exchanged information with major domestic companies. Our various experience related to test will enhance the test result of your company.